1. Line your baking tray with grease proof paper and preheat the oven to 180oc / gas mark 4. 2. 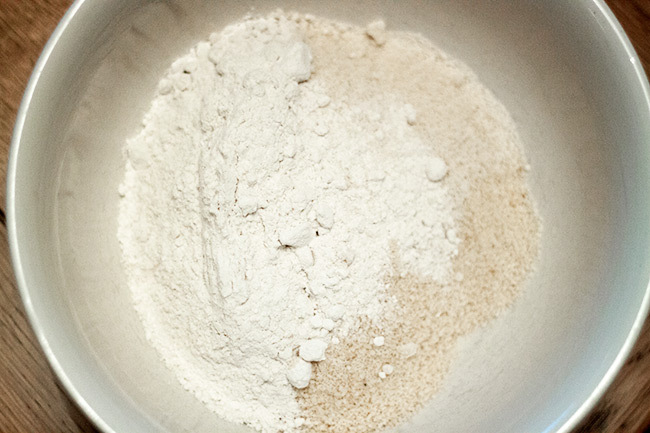 In a bowl mix your flour, almonds and sugar in a bowl. 3. 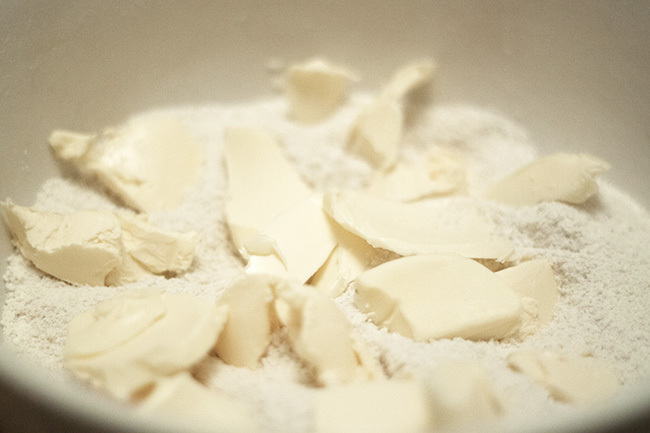 Weigh out your butter and chop in to small squares and add to the mix. Using your fingers, rub in the butter. 4. 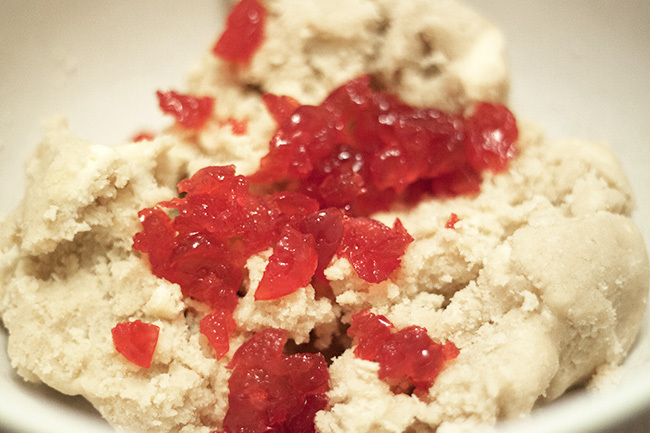 Once your mixture resembles breadcrumbs add your chopped cherries and knead your mixture into a dough. Thank you, great idea! I really need to make these soon, I forgot just how delicious they are! Yum! 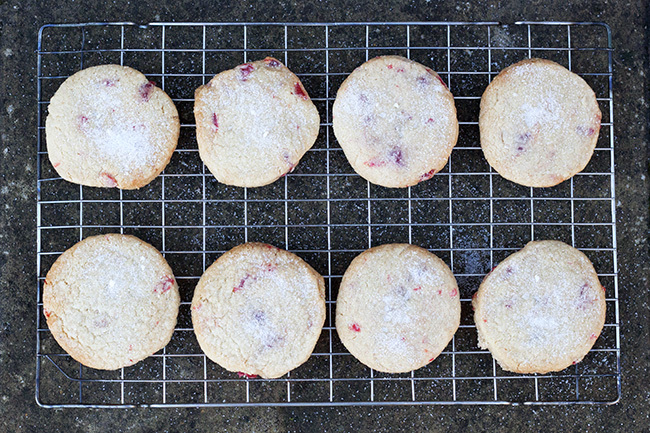 Have made these twice now as the recipe and they were great. Last for ages in stun. Well as long as not eaten! 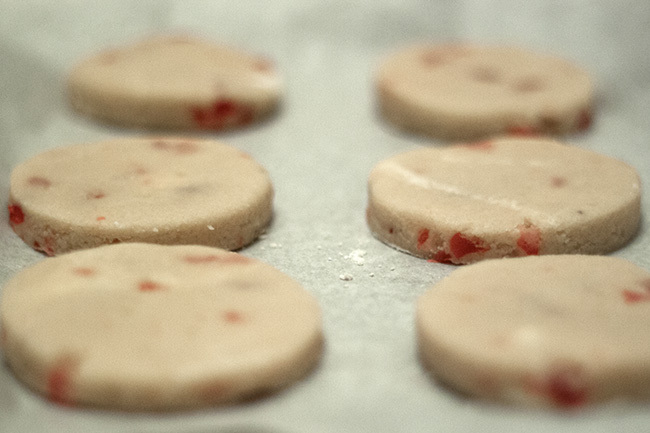 I’m going to vary recipe today and use chocolate chips in place of cherries . Just for a change .